Sonic Hacking Contest 2018 RESULTS Find out who won trophies in this thread! All good things must come to an end. This year's Contest Week is over, and here are the results! Please note that entry evaluation from the Judges will be coming soon. Angel Island Trophy - Best Mega Drive / Genesis Sonic hack submitted overall. Generations Trophy - Best 3D Sonic game modification submitted overall. Crystal Egg Trophy - Best 8-bit Sonic hack submitted overall. Mirage Saloon Trophy: Best Sonic Mania modification submitted overall. Green Hill Trophy - Hack (or specific level of a hack if non-applicable) that plays most like a Sonic game. Botanic Base Trophy - Best art in a Mega Drive / Genesis hack submitted. Windy Valley Trophy - Best art in a 3D modification submitted. Jungle Trophy - Best art in an 8-bit hack submitted. Studiopolis Trophy - Best art in a Sonic Mania modification submitted. D.A. Garden Trophy - Best music in an entry submitted. Lava Reef Trophy - Best level layout in a Mega Drive / Genesis hack submitted. Speed Highway Trophy - Best level layout in a 3D modification submitted. Gimmick Mountain Trophy - Best level layout in an 8-bit hack submitted. Press Garden Trophy - Best level layout in a Sonic Mania modification submitted. Genocide City Trophy - Most difficult entry (or specific level of an entry if non-applicable) submitted. Azure Lake Trophy - Best multiplayer entry submitted. 11000101 Trophy - Best technical / proof of concept entry submitted. Fang Trophy - Best new enemy/badnik in an entry submitted. Eggman Trophy - Best new boss or mini-boss in an entry submitted. Spin Dash Trophy - Best new ability in an entry submitted. Carnival Night Trophy - Most innovative game play feature in an entry submitted. Emerald Trophy - Best Special Stage in an entry submitted. Wing Fortress Trophy - Best cutscene in an entry submitted. Robotnik's Revenge Trophy - Best fresh concept using existing concepts as the backbone in an entry submitted. Casinopolis Trophy - Most entertaining / fun entry submitted. Polygon Jim Trophy - Most unique entry submitted. Tails Trophy - Most improved entry from last year's contest. Blaze Trophy - Entry from this year's contest that is felt to have the most potential. Please note that the Advance Trophy was not awarded this year as no handheld entries were submitted. Angel Island Community Trophy - Best Mega Drive / Genesis Sonic hack submitted overall. Generations Community Trophy - Best 3D Sonic game modification submitted overall. Crystal Egg Community Trophy - Best 8-bit Sonic hack submitted overall. Mirage Saloon Community Trophy - Best Sonic Mania modification submitted overall. Windy Valley Community Trophy - Best art entry submitted. D.A. Garden Community Trophy - Best music entry submitted. Lava Reef Community Trophy - Best level layout entry submitted. 11000101 Community Trophy - Best technical entry submitted. Polygon Jim Community Trophy - Most unique entry submitted. Tails Community Trophy - Most improved entry from last year's contest. Blaze Community Trophy - Entry from this year's contest that is felt to have the most potential. Newtrogic High Trophy - Voted best entry of the Contest by the Media Panel. Like last year, we want YOUR feedback on this year's Contest Week so please take the time to fill out this form and let us know what you thought about this year and what we can look at for next year. So we can get planning for next year sorted out and next year's Contest announced by the end of this year like always, please note the deadline for the evaluation is the end of Sunday 9th December. It won't take you that long to fill out this form, so if you are able to, please do so. There are a few questions new to this year as we gauge feedback on a few ideas in terms of expanding the SHC, so please let us know your views on those too! The Judges – which along with myself were Cinossu, Clownacy, Dandaman955, Dario FF, Melpontro, OrdosAlpha, SuperEgg, and SSF1991 (Donnie) and Twilightzoney. A very solid judging team this year that was able to work together and get the job done. Including more judges with knowledge of 3D modding was a great decision and was obviously needed for this year given the ever increasing amount of them. We aim to expand upon this for next year. Cinossu for continuing his work on the website and providing some excellent new features in addition to what was there last year. More features will be added for next year, so stay tuned. SuperEgg for organising the majority of the media side of things, bringing you the list below of people in the next section. After five years, SuperEgg has decided to step down from judging and media organising, Donnie will be replacing him on the media side of things whilst CodenameGamma will be taking on the vacant Judge spot for 2019. The Media Panel that consisted of AntDude, Donnie (SSF1991), FTCR, Garrulous64, MegaGWolf, Neo Hazard, redhotsonic, SomecallmeJohnny, Stealth, StudioColors, Tails' Channel and VladislavSavvateev as well as AGM (AquelGamerMexicano), Knuckles Channel 3 & Knuckles, premydaremy and SonicYoda of SEGADriven.com. Don't forget to check out their archived content here! Bartman3010 from Sonic Retro, VEDJ_F and Mayor D from Sonic Stadium, Ryan from Tails Channel as well as Tristan Oliver and Ryan Bloom from TSSZ News for providing coverage of the contest. SeanieB for providing server hosting and accommodating us well. Unlike previous years, we had no server issues whatsoever this year. Over 600GB of bandwidth and 35,000 unique IPs were had this week. Selbi for their previous involvement in this year's Hacking Contest. StephenUK for tie breaking the Mirage Saloon Trophy and being available to step in as a Judge this year should the need have arisen, he will be coming in as a Judge for 2019. Ryan from Tails Channel for his Hacking Contest Trailer. Titanus on Discord for being awesome. Everyone who submitted to the Contest or Expo, no matter if they won trophies or not. And You…for taking part in the Contest Week. We will be back for the Sonic Hacking Contest 2019. Information for that will be posted hopefully by the end of this year. 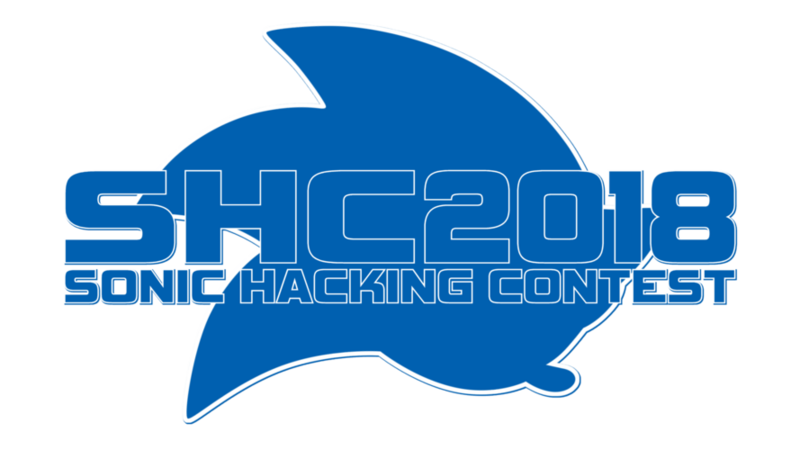 Things continue to get better and better for the Sonic Hacking Contest, so let's keep it going! I'm not sure how much I agree with some of the results, but nevertheless, congratulations to the winners. This contest was pretty surprising in more ways than one, hopefully this sort of thing keeps up next year! How is it possible for a Genesis hack to be the best of the best (which is what I assume Hidden Palace Trophy means), if another hack is the best of the Genesis hacks (which is what Angel Island Trophy outright states)? Doesn't set theory apply to these things, meaning that "best Genesis" is a subset of "best of all"? If there are 3 red cars and 3 yellow cars in a race, and a red car wins, how can another red car be the best of the red cars? Again, I am not questioning the results of a contest in which I didn't take part nor I didn't follow at all. It's sincere good faith curiosity from someone who likes math too much. Well, I mean, a judge could have voted X the best MD hack, but their favourite 1st place entry was a 3D one, so they voted it for the 2nd place trophy instead. Then say the other judges had the same opinion on the best MD hack, but differing opinions on whether it should be 1st, 2nd, or 3rd. Now that you mention it, I do remember it popping into my head how weird that system is. EDIT: Ah, wait. Nope, looking at the website, they do condense the 1st/2nd/3rd votes into one thing. No idea then. I voted the same for both at least. The 1st/2nd/3rd place trophies were entries across the board, not split to 2D and 3D. That is why there was the Angel Island Trophy this year, because we also have a Best 8-bit and Best 16-bit (as well as now a Best Mania). I think next year we are going to change things by separating the Top Three into 2D and 3D, this would make things a lot more fairer and also mean that we would not need the likes of the Angel Island Trophy, Generations Trophy, etc. We can split a few more trophies down too, the 11000101 Trophy is one that is a given for sure. Already got a fair amount of evaluation by the way, let's keep them coming! Also, I've taken a quick look already and I have noticed some complaints about some entries not being covered well by the Media Panel. While we accept a wide variety of entries, the media team may have difficulty with being able to establish proper setups to present more unusual configurations needed for some entries. As such, we can't guarantee that any entry will get shown on streams. While they try to show off as much as they can, if entries are particularly problematic or require very specific setups that require specialised and highly advanced configurations, there's no guarantee they can be given similar attention as those that work with more standardised configurations. It's not that the entry is considered unequal to its competition; just recognising feasibility. As such, don't get discouraged if your specialised mod doesn't get the screen time that a generic hack does. We try our best, but our media team has limitations. Just a reminder that we'd like your feedback on this year. What went bad, what went good, what new bells and whistles we can implement for next time, etc. The insight so far's been pretty interesting. Hai! Judge evalutations are almost here. The judges that haven't completed theirs yet have until the end of this Sunday to do so. They'll be made public after that or on early Monday. So you'll be able to see them in the next day or two. Anyone who has not done an evaluation yet but wants to, you have a few hours left. I am closing the submissions early Monday morning, and then the judges will discuss what changes to make for next year's Contest and Expo, which will be announced in a few weeks time. Following the closing of submissions, the Judges' evaluations for each Contest entry will be posted. Whether you agree with what they will say or not, this is their own views on the entries. Here are the entry evaluations for this year. Sorry if you find a few blank boxes and also for the delay, our judges have tried their best to get what they can in whilst having other commitments as well. As a short update, please be aware that Judges are still working on changes for the 2019 Contest and Expo, based on the feedback from the Evaluation Form as well as their own views on things. This is taking a little longer than usual to push out due to how many things may need to be done as well as working around availability of the Judges, such as their own commitments and other life things. Hoping to have this out by the end of the month but ideally we will be having similar deadlines than last year so if you are working on a Contest entry, just think for now that you have until the end of October before the Submissions Deadline.